Things are really starting to roll for our team! 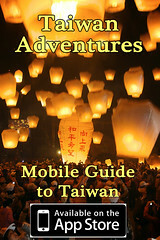 Thanks to My Several Worlds, we have some more publicity for our entry to Taiwan’s “Best Trip in the World – 世界最棒的旅遊”! If you haven’t seen our video, have a look below, then go vote for us and leave some comments!